Higher cardiorespiratory fitness translated to lower heart attack risk, with women appearing to benefit the most. 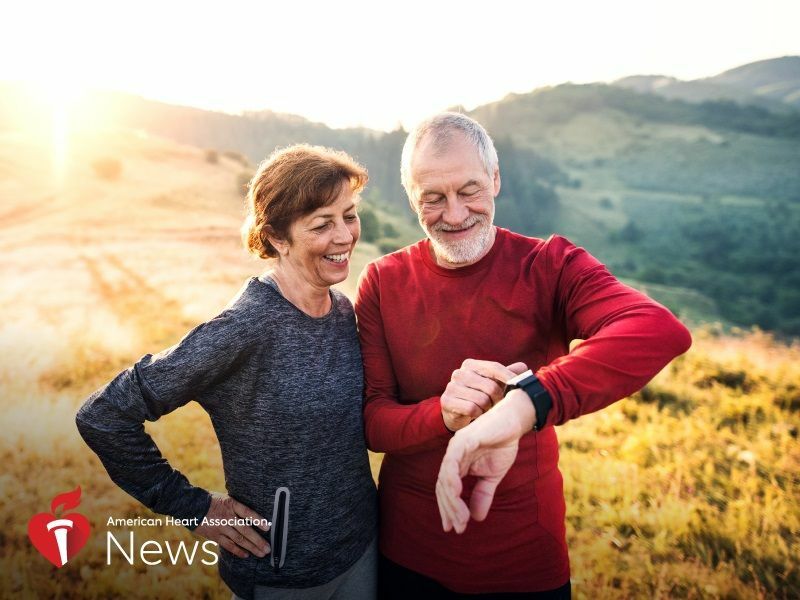 The findings suggest "cardiorespiratory fitness can be used as a risk calculator for first heart attacks," said Rajesh Shigdel, lead author of the Norwegian study published Wednesday in the Journal of the American Heart Association. "Measuring cardiorespiratory fitness will tell you which risk group you are in," said Shigdel, a researcher in the Department of Public Health and Nursing at Norwegian University of Science and Technology in Trondheim, Norway. Cardiorespiratory fitness reflects the body's ability to transport oxygen during sustained physical activity. It can be measured using VO2 max, the maximum amount of oxygen the body can use during exercise. A higher VO2 max indicates higher cardiorespiratory fitness. Relying on data from one of the largest health studies ever performed, Shigdel and his team estimated cardiorespiratory fitness for more than 26,000 Norwegians who were 56 years old on average and free of heart disease when the study began. Researchers tracked their health for up to 15 years. Because VO2 max scores were not available for all participants, researchers estimated cardiorespiratory fitness based on the length and intensity of physical activity each week. Among women, those with high levels of cardiorespiratory fitness were 25% less likely to have a first heart attack than those with low levels, whereas men with high levels of fitness were 10% less likely to suffer a heart attack than those in the low fitness group. People who want to increase cardiorespiratory fitness should strive to be physically active at least 150 minutes each week and minimize time spent being sedentary, Shigdel said. But that doesn't have to mean spending hours at the gym each day. "Those who are somewhat active will still have some benefit," he said. "It's better to have something than nothing." It's unclear why exercise affects men and women differently, said Dr. Aaron L. Baggish, director of the Cardiovascular Performance Program at Massachusetts General Hospital in Boston. But he cautioned against placing too much weight on the finding that women reaped a greater protective benefit than men. "The take-home message for this study should not be that fitness doesn't matter for men," said Baggish, who wrote an editorial accompanying the study. "The message should be that the fitter you are, the less likely you are to have your first heart attack." Previous studies have consistently shown higher levels of cardiorespiratory fitness are associated with fewer heart problems. However, most prior studies either haven't included women or didn't report findings by gender, said Shigdel, despite the fact that heart disease behaves differently in women versus men. For example, women ages 45 and older are more likely to die within a year of a first heart attack than men of the same age. Most research also has looked only at whether fitness was related to a higher risk of death from cardiovascular disease, rather than a first heart attack -- an important distinction because heart attacks are not always fatal. "Our results are better suited for assessing disease risk," the authors noted. In terms of cardiovascular risk, Baggish warned against focusing on physical fitness at the exclusion of other factors. It is equally important, he said, to quit smoking, eat a diet rich in fruits and vegetables, stay away from processed foods and avoid stress. "If you have high blood pressure, high cholesterol and other risk factors, you can't exercise yourself out of trouble," he said. "Nobody can exercise enough to get complete immunity from heart disease."